Greetings, dear readers, and happy Saturday! I'm finally getting back to my Cosmoprof North America posts I started earlier now that my son is no longer in the hospital and perfectly healthy! I definitely was in mama bear mode after we got home since I did little more than watch him closely until he was 100% fever free and better. I do still have several things I wanted to share with you so you can expect to see quite a few more CPNA-related posts. I'm also going to be heading to Chicago next week to attend the first ever Polish Con, so be sure to be following me on social media for live posts until I am able to get a blog post written up when I return home. Now on to today's post! One of my favorite aspects of Cosmoprof North America is discovering new and upcoming brands and products. 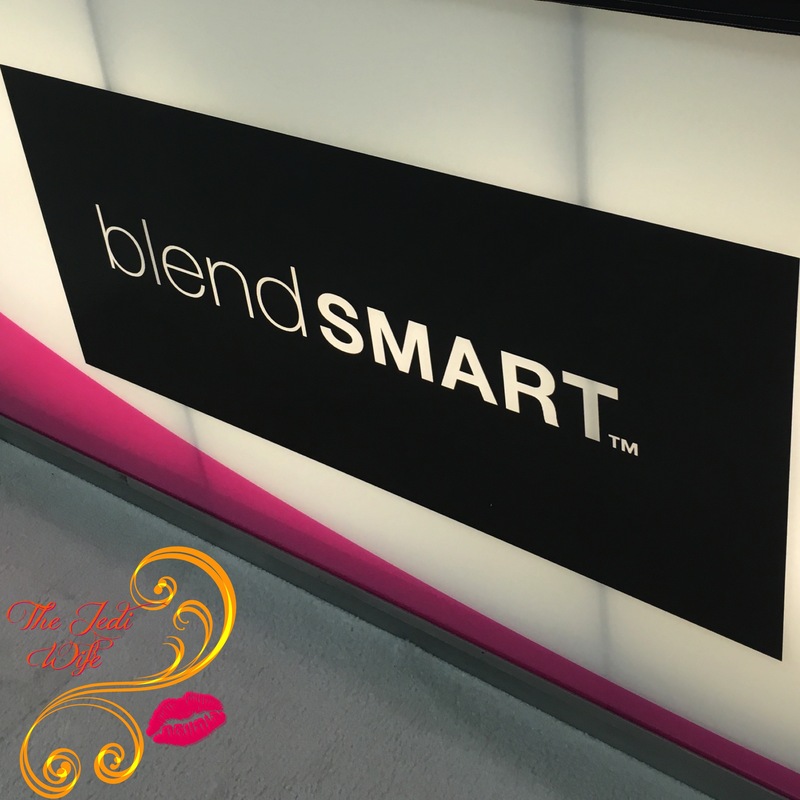 One of my stops was at the blendSMART booth where I was introduced to a revolutionary rotating battery-operated makeup application system. 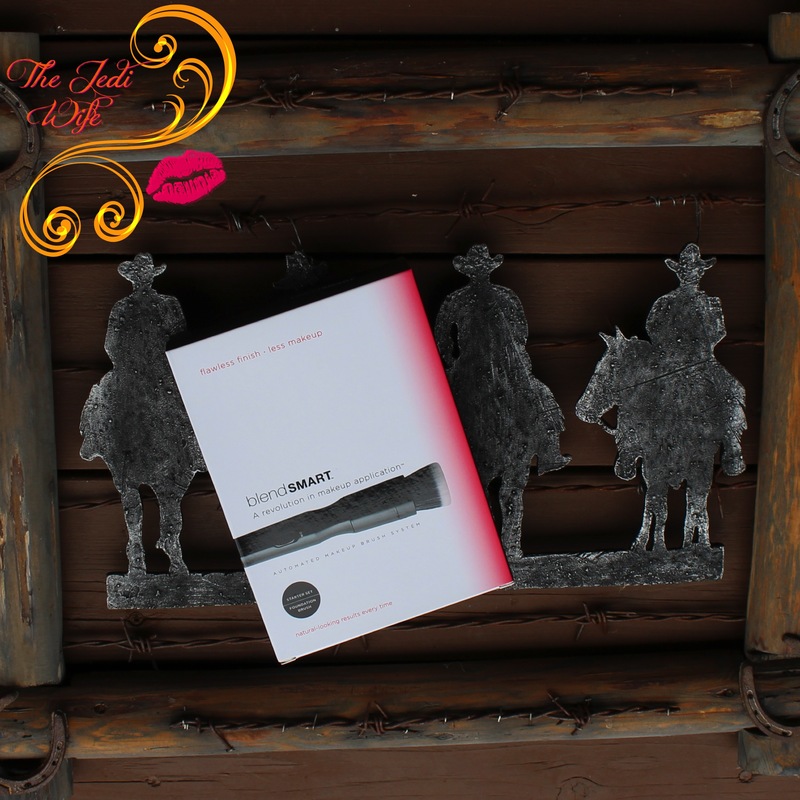 The blendSMART system starts off with a handle that holds the battery and interchangeable brush heads for flawless application of foundation, blush, bronzers and more! I love a beautiful brush! There, I said it! Not only do these interchangeable heads look good, they are so incredibly soft! I'm not ashamed to admit that most of the time I spent at this booth, I also was holding one of these brushes and running it over my hand. I'm a tactile person, and these brushes are some of the softest I have ever encountered! My blog has been so polish-centric for so long that some of you may not know that my first love is makeup, and it wasn't until fairly recently that I got into nail polish. 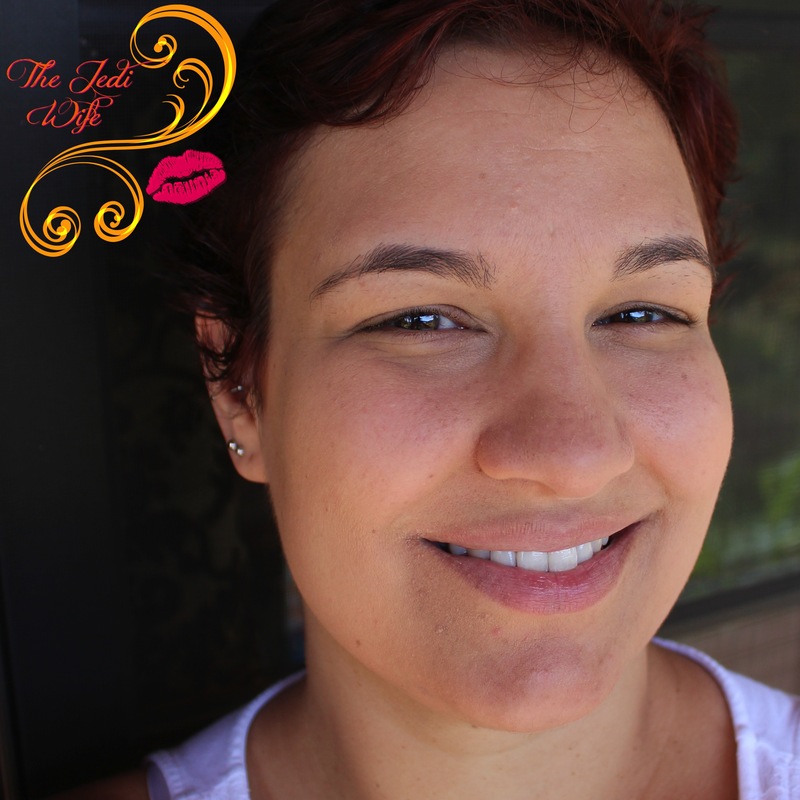 I was intrigued by the claims of easy and flawless application in addition to the claim that less product would be needed to get the look you want. I don't know about you, but I always have the worst time finding a foundation that suits my skin colour, and when I do find one, it's generally not a cheaper option from the drugstore. With a tight beauty budget, I'm all in favor of a product that can make my products still work but stretch a little bit longer! I actually had the opportunity to test this brush out for myself! I was provided the starter kit which includes the handle, a battery, and the foundation brush. The battery easily pops in at the bottom of the handle and the brush snaps in. I fell in love with this little cowboy plaque while I was in Colorado so my brush decided it wanted to be a cow-brush for the day. One thing I want to start with is it does not use the standard AA or AAA type batteries. Instead, it comes with a non-rechargeable CR123A lithium-metal battery. While this isn't a deal-breaker for me, it may not be easy to find one of these batteries locally, particularly if you live in a very small town. That isn't to say you can't easily order one online, but that is something to note. I tested this out initially while in Colorado, and since I didn't have my usual light setup with me, I had to make do with natural light. And it certainly was sunny the morning I took these photos! At least you get to enjoy all my imperfections, haha! To start out, I followed the instructions and dotted my foundation on my cheeks, nose, chin, and forehead. You do not want to put your foundation on the brush. 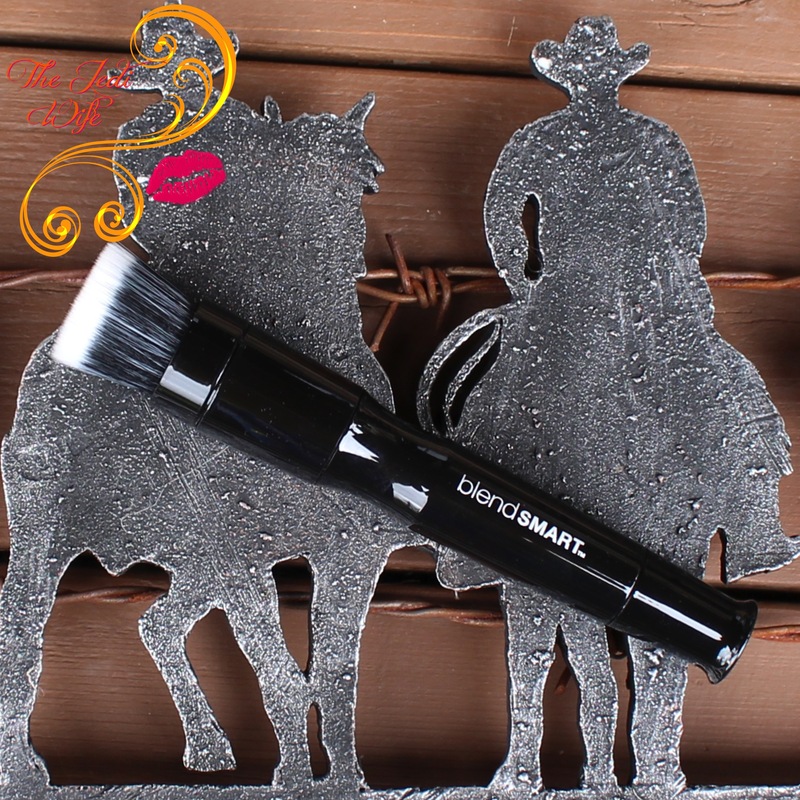 The purpose of this brush is to get the airbrushed-look using the "less is more" mantra. With a quick flip of the switch, I set to work to get my foundation smoothed out. This is actually a post application photo, as you do not need or want to hold the brush this firmly to your face. Using up and down, back and forth motions, you let the brush gently touch your skin and do all the work for you. With the brush rotating at 190 revolutions per minute, it definitely took a conscious effort on my part to not go round in circles! Because this is a battery-operated product you do want to avoid the eye area and hairline. Once you are finished applying your desired level of coverage, you can then go in with a sponge or a brush to reach your hairline and cover the delicate eye area. DO NOT USE THIS UP TO YOUR EYES. This is bolded for a reason; ask me how I know. It wasn't intentional on my part, but the soothing whirring sound made me a little complacent and not pay attention for a brief moment. Here is my final look, or at least my final foundation look before adding other makeup products. While I probably could have used a little more foundation for more coverage, it was a toasty day and I just wanted to get a little more balanced skin tone. This brush is so soft and a delight to use on my face! There are some people I suspect wouldn't care for the sensation, at least for the first few uses, but I found it enjoyable right from the start. I have since used this brush numerous times, and I still want to go in circles. I have a feeling that is never going to stop with the rotating head. As far as application, I can't say that it worked the nicest for me. My current preferred foundation is by EX1 Cosmetics, and I don't feel the formula was a good fit with this type of application. My foundation is almost moussey, and I found that I had to watch with blending as it would quickly start to cluster up on my face. That's definitely not a good look for anyone, and I'm not really sure I could use more of my preferred foundation even if I wanted to due to the clumpening effect. I also was not thrilled that I had to then go back in with my beauty blender to take care of my eye area and hairline. It definitely makes sense why you would need to, but if I'm already going to have to use my beauty blender to begin with, I'm not sure I want to use two application products when one will suffice. Not to mention having yet ANOTHER brush to clean? The starter set of the handle and foundation brush retails for a whopping $69. 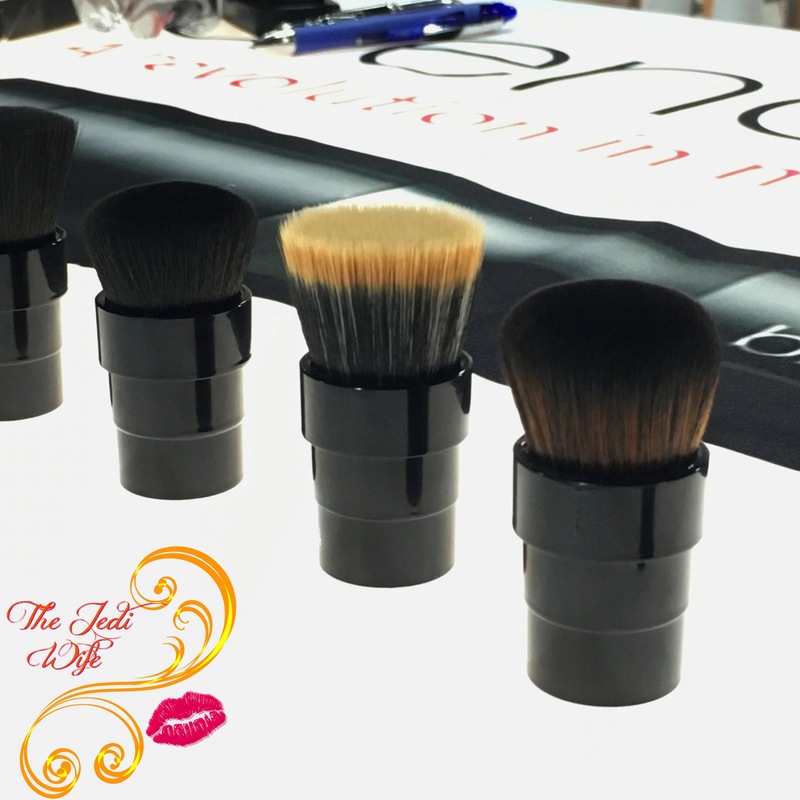 The handle can be purchased directly from blendSMART for $49 and each brush head is $26. I don't know about you, but if I'm going to spend almost $70 on a makeup brush, I don't want to have to go in with a second tool (either a sponge or a handheld brush) to finish my base. Add to it that it may not work well with your exact foundation to achieve an airbrushed look, it really is a gamble as to whether or not this can work for you. 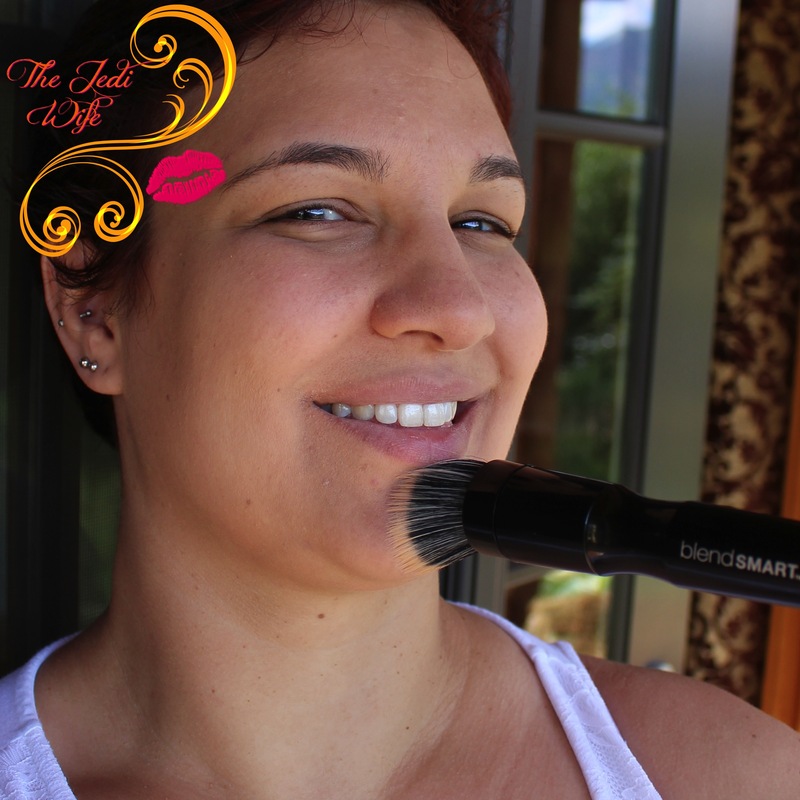 If you have problem skin with texture and need more coverage, such as acne, I really don't know that this brush system will give you the flawless look you are going for. I REALLY wanted to love this brush application system, especially since it is SO SOFT, but if the major selling point for me is its softness, I'll just curl up with and pet my cat. This brush is available for purchase at blendSMART online here, Sephora, and for Doll 10 on QVC here. 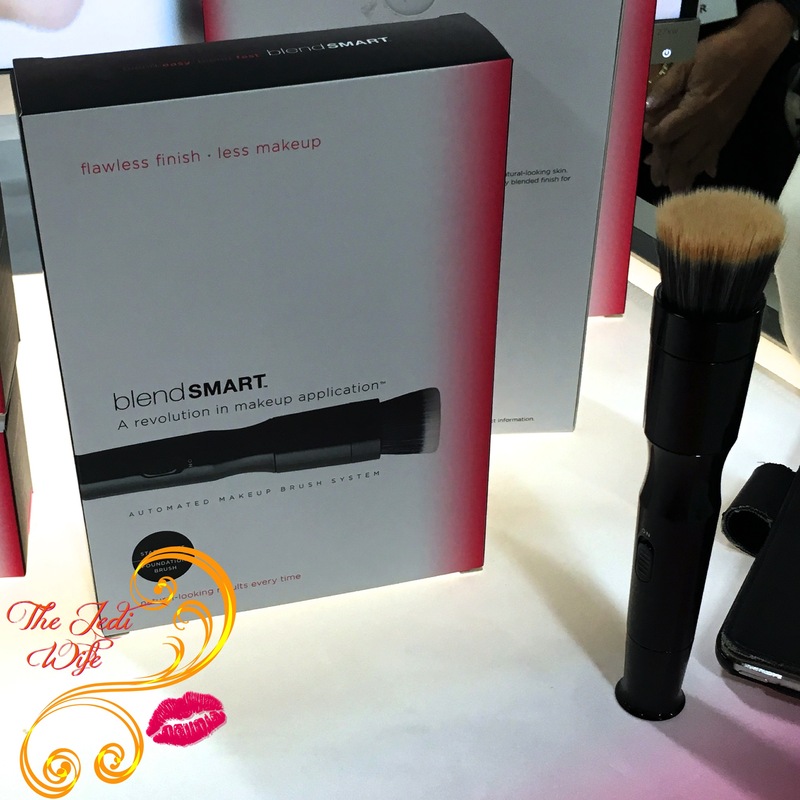 Have you tried the blendSMART makeup application system? I'd love to hear feedback from others as to whether or not it works well for them! Until next time, dear readers, have a wonderful weekend! Great review! I'm with you about needing more than one product to work with. If I need to use a beauty blender, I might as well have used that from the start. Cool idea, but I don't know that I would go that route though. I usually just stick with tinted moisturizer for my "foundation" so it's probably not necessary for me. Interesting idea! I tend to just use my fingers to apply foundation, but I could see this working well for someone who prefers a brush. I thought the application result was really nice, it looks very natural. But...I don't even have a real beauty blender cause I refuse to pay that much for a sponge, so I'm definitely never going to spend that much on a make up brush either.